How to Take Yoga Classes in Young Learners’ Classroom? 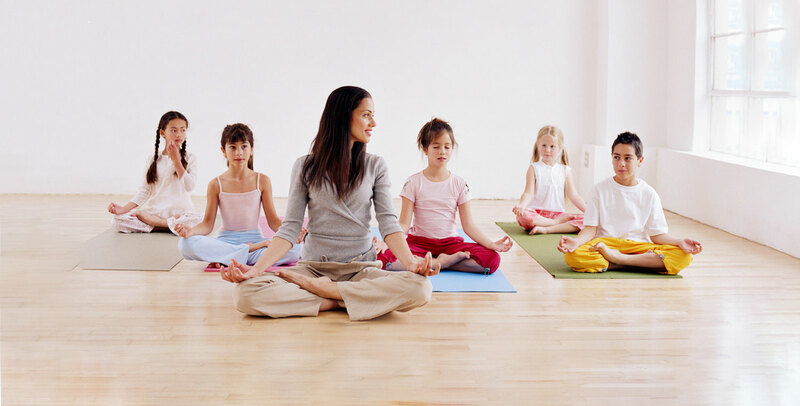 Yoga classes with Pre and Primary children can be really enjoyable. If yoga is really practiced properly in regular basis; it is going to give a great comfort- both physically and mentally.Breath work, learnt in yoga can help to lead a balanced life, improve coordination and develop many abilities among individual. To help little learners in yoga, one must follow certain steps which can be learnt by taking up a course in teaching Yoga and we will mention them below. It is the tendency among the children to feel secure once they know the routine of the class. Even the little things like,-where to leave shoes and socks, helps to create a sense of confidence. If you have a routine with proper segregations, it becomes very helpful for the students to be ready for the next class. Kids at this age can be bored very easily, if they find same kind of activity for a long time.They cannot concentrate for periods longer than about 10 minutes.So, it is better to have a class in proper segments with full of different activities.A class can be considered as a series of segments –each lasting between 1 and 10 minutes – which should be related to the overall theme. Generally,the class can be started with a greeting song or with any innovative idea to get proper attention. Then the pose of the week can be introduced with sharing a picture relating to our topic. After this we get to the main event – a short yoga story can be stated based on the pose if possible. Children at this age can find it tough to concentrate for periods longer than about 10 minutes. So we can help them to practice poses which is already taught and have a connection with the day’s topic. Many of these poses can be learnt from the course in teaching Yoga that you can get from an educational institute. Using teaching aids is always very helpful to attract, motivate the young learners. So a trainer can always use teaching aids to make the class lively. Specially while teaching yoga we can use different types of pictures, sometimes funny pictures, related to the day’s postures. We can also show videos of yogis, so that they get interested to perform the same. This is the duty of a yoga trainer to find a rhythmic way to present the postures or to conduct the class. It is required as the little learners feel excited to perform the postures through the session. It is the duty of the trainer to make the yoga class interesting. We should try to provide relevant themes for yoga sessions based on topics and these can be learnt from the course in teaching Yoga. Little children thrive on repetition. Repetition helps them to reinforce their learning. Practicing yoga poses can be help full for the little children to build vocabulary. In Yoga postures, the physical movements combine with the cognitive process of learning new words; – a kinesthetic process involved in learning yoga is an aid of learning. By the end of an 8-week term, children will have accumulated a good range of poses and lots of new words. Providing a special class at the end of the term, is always required as it is helpful for the learners to do the postures properly. We can find that young learners are not able to practice yoga at home without any support of elders. So as a good trainer a teacher should take the help of family members or care givers, so that they should be guided properly while practicing at home. Trainers should ask the students to do the taught postures properly.Individual attention to evaluate children while performing the postures. These are some of the ways with which you can teach Yoga in a classroom. If you want to know more you must take up the Course in Teaching Yoga from which you will learn about the duty of a trainer to educate the students in performing yoga postures properly and gain the benefits of yoga throughout the whole life.